Public Health Specialist National HIV Programme Coordinator, Dr Francis Martin. Age-old myths surrounding the spread of HIV/AIDS still exist according to the finding of a study conducted by Senior Medical Officer attached to the Ministry of Health, Dr Francis Martin. The study was conducted on the sister isle of Carriacou but is not exclusive to the island. It indicates that people’s perception on the spread of HIV/AIDS has not changed much since the first recorded case in 1984. The Ministry of Health reminds the public that HIV/AIDS can only be spread through the following. 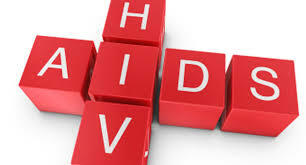 Other casual contacts with a person infected including kissing, hugging, sharing foods, bathing, insect bites, coughing, toilet seats will not contribute to the spread of HIV/AIDS.